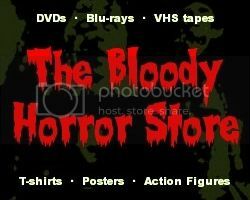 Dr Blood's Video Vault: Do you want a horror scholarship? Do you want a horror scholarship? I just got an email from Christian Gamboa of Star Costumes informing me that they have recently launched the first-ever Horror Scholarship. It's a $1000 scholarship designed to provide assistance to students studying to work in the horror industry. They have set up a page devoted to "The 2010 Star Costumes Horror Scholarship" at http://www.starcostumes.com/horror-scholarship. You'll need to meet some eligibility requirements and fill in an application form before October 31st but, if you've always wanted to work in the horror industry, you should check it out.